It was a pleasure to attend a fantastic Gartner conference in Las Vegas last month (December 4-6, 2017). And while there was a chill in the desert air, the team at Gartner brought plenty of heat with terrific keynotes and sessions. So, what we’d like to do is break down the key messaging that we got from the conference, based on the tracks that we followed, and then we’ll apply what we think is very sound advice to practical steps that can be applied today. So here we go: Gartner’s key messaging from December 2017. Over many years, IT has become known for using the word “no” far more often than the business community would like to hear it. Gartner believes that in the new era of digital disruption, IT needs to transform itself from the party of “no”, to the party of “yes”. Much of what followed during the conference was clear advice on how to go about this transformation. In the year 2018, it’s amazing how much has already been built, productized, and is fully supported by one vendor or another (including IntraSee). And most of it is now available for subscription in the Cloud. Gartner’s clear advice for IT is to stop building things that are already built. Ultimately, it’s not just a waste of time and money, it also contributes to IT being primarily focused on being in “maintenance mode”, instead of “innovation mode”. Which, in turn, leads to the word “no” being an automatic response to many requests that would be hugely beneficial to the organization. If IT is always busy reinventing the wheel, then there’s no time available for tasks that really do add value. 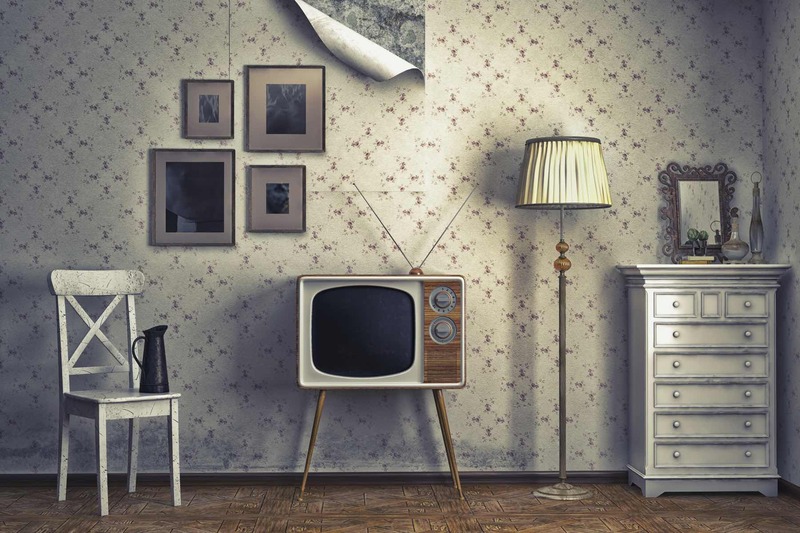 By utilizing products, tools, and knowledge that already exists, and not embarking on lengthy DIY projects, IT can accomplish a lot more with the same amount of effort and money. IT should become the catalyst for ensuring things get done the right way and for the right cost. And by doing so, can transform itself to becoming a group that enables differentiation and innovation in the enterprise. This, Gartner says, is a critical path in the evolution of IT. Gartner strongly advises that building chatbot solutions in-house is not the way to go, as they feel there is enough already built that can be re-used in the Cloud. However, they do feel that now is the right time for organizations to dip their toes into the chatbot pool, and that by the end of 2018 organizations should aim to move some of these pilots into production. You can read more about our own chatbot pilot program. This is a very interesting one, and we totally agree. But one thing we’d add is that the vast majority of customizations are made for UX reasons. And if there’s one place you shouldn’t be making UX changes, it’s in an Enterprise system. We would suggest that a portal/PaaS technology is a better platform for UX changes, and hugely alleviates the need to customize your Enterprise system. This is a great example of spending money to save money. That’s called a win-win! For years, many organizations have been building solutions using a vast array of on-premise technologies. Gartner’s advice is to start using more advanced tools that exist in the Cloud. While this may sound easier said than done, 2018 is the year to start doing it. For example, many of our clients have been using PeopleTools as a development platform for a number of years. Well, today there are many options in the Cloud that provide better capabilities, and are also not entering deprecation-status (Note: PeopleSoft has a finite shelf-life). To that end, we’ve created a simple guide that describes what you have now, and what we think is the equivalent in the Cloud that you should look at adopting instead. And the great news is that it’s not as daunting as you may think. And, also, is often something you can do prior to moving off PeopleSoft. In fact, we would strongly recommend that many of them are among the first things you should do, as they will better prepare you for life in the Cloud, and the new era of AI and digital disruption. 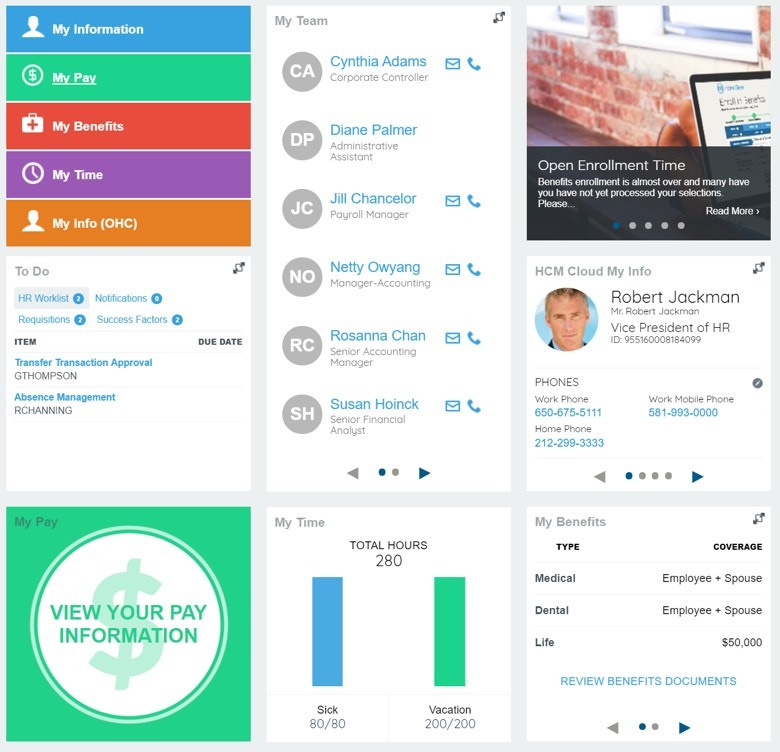 There’s a general principle that states that building a UX solution inside your HCM system is a bad idea. The reason being that it is now tied to one HCM solution, and if you change your base HCM solution, you then lose your entire UX investment. Better to create a UX solution that is “portable” across any Enterprise configuration, and can easily adapt to more complex requirements. This principle would include Campus solutions as well. Also, Fluid Tiles is a PeopleTools technology solution that lacks the flexibility to integrate cleanly with all the other applications in your Enterprise, as well as having a very basic UI. Plus, as this is a legacy solution you’ll soon be moving away from, any investment in this technology will be lost. WHY IS THE CLOUD VERSION BETTER? It’s far more polished and user friendly, plus it’s a technology solution that’s state of the art, and much easier to maintain. It can also be used with your PeopleSoft solution today, and any Cloud provider too. You also get the advantage of now being on a stack that is getting a lot of investment by Oracle, and can be integrated with their entire Cloud stack, as well as your PeopleSoft stack. AWE is a PeopleTools solution that has been both complicated and limited in capability for many years. There are better solutions you can use now that can also be used in the Cloud and are not tied to one technology. Plus, like some other PeopleTools features, this one doesn’t migrate to the Cloud either. WHY IS THE CLOUD VERSION BETTER? 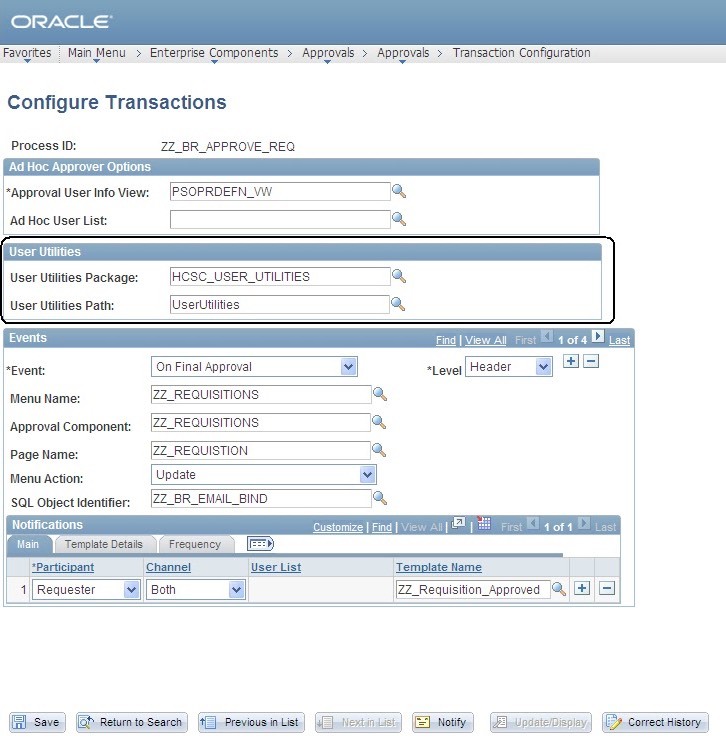 It’s more intuitive, has far more capability, and is used widely within the Oracle PaaS suite. Plus it can be used with your PeopleSoft system today. This means it’s a tool for both the present and the future. 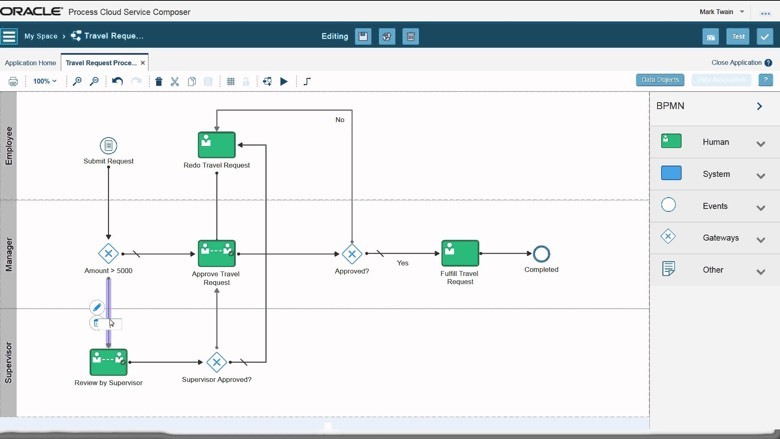 What’s also interesting is that not only can Process Cloud be used for transactional workflow (like MSS approvals), it can also be used within the Content & Experience Cloud for content management approvals. We know there’s a lot of organizations using the CMS that comes delivered with the Interaction Hub. It is used to house literally millions of digital assets worldwide. And while it has been very useful in many situations, it does still lack the slick UX that CMS’s come delivered with today. The great news is that moving from one CMS platform to another should be pretty straight forward given the suite of API’s to support this within the Interaction Hub. Plus if the receiving CMS also has a suite of API’s, then the entire process can be automated. 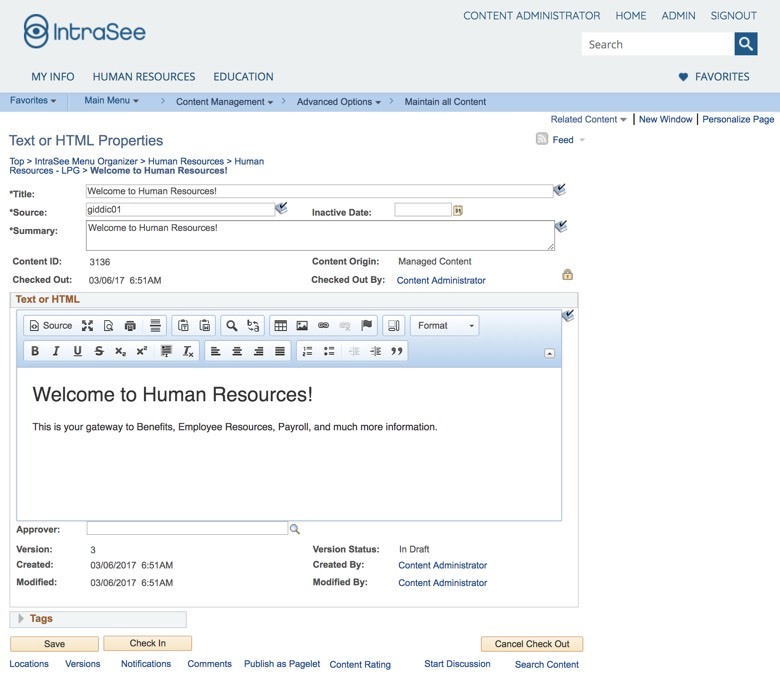 As an FYI, at IntraSee we will be offering automated content migration from the Interaction Hub to the Oracle Content & Experience Cloud in 2018. WHY IS THE CLOUD VERSION BETTER? 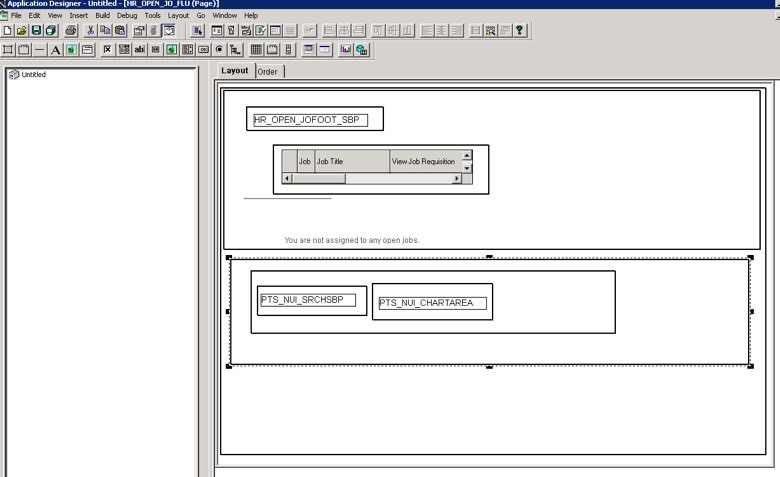 Content Management Systems (CMS) have changed a lot over the years. Not only have the UI’s become much better, but there are even more API’s available if you want to go the “headless CMS” route that is becoming more and more popular today (and with the advent of Chatbots, this is pretty much a requirement these days). 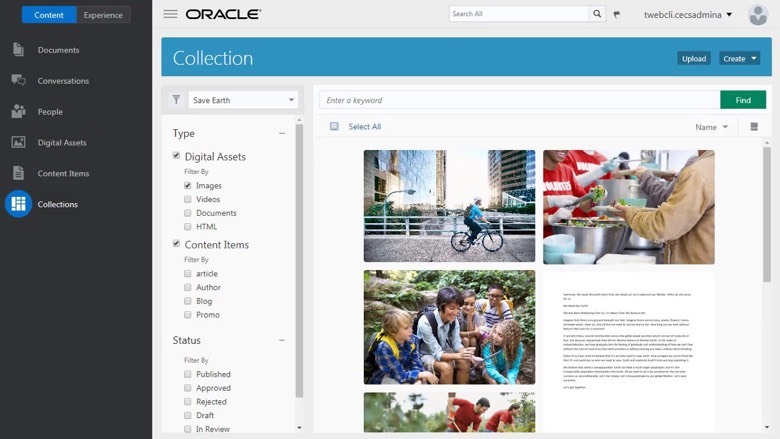 This translates to a more flexible way for managing, and publishing, all your digital assets. While we believe that using delivered Fluid components is a great idea (and many of our clients do this), we wouldn’t recommend building your own Fluid Components. Other than the obvious reason of obsolescence when you retire your PeopleSoft system, there’s also the massive amount of retraining of your IT group that this would entail. Building Fluid components is not a simple process and will require a huge amount of skillset retooling. Why do that in 2018 when there are other options that don’t have such a short shelf-life? As Gartner says, time to use a different toolbox. WHY IS THE CLOUD VERSION BETTER? 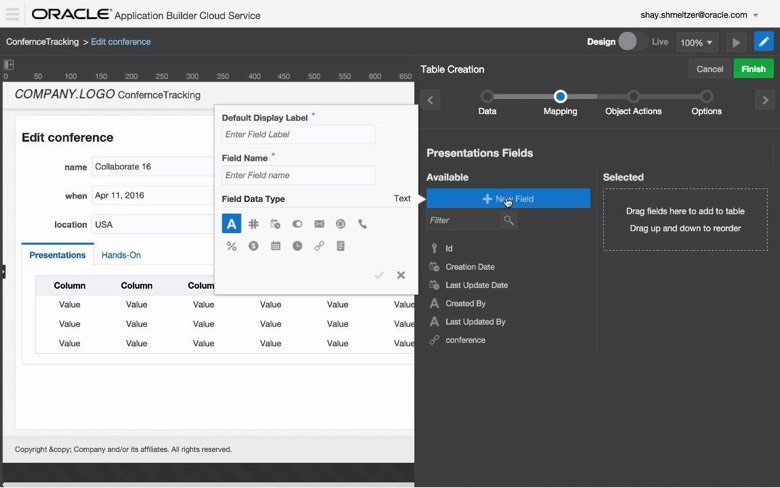 It’s more intuitive, and can be used in a collaborative fashion by teams of business experts and developers, and is used widely within the Oracle PaaS suite. Plus it can be used with your PeopleSoft system today. 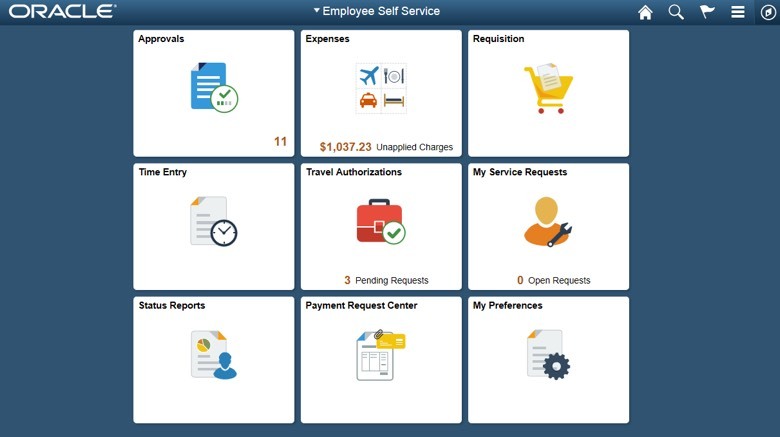 If you’re looking for a form creation tool that can work with Oracle HCM Cloud, PeopleSoft, and other REST based SaaS systems, then this is it. There is no PeopleTools based chatbot framework – hence the N/A. Because of this you may end up waiting multiple years before you do anything with this technology, and that will be way too late. By the year 2020 Chatbot development will surpass mobile development, according to Gartner. Now is the time to put your toe in the water. Your business community undoubtedly wants to do this, so now is the time to say, “Yes”! HOW TO PILOT/POC A CHATBOT SOLUTION: Thankfully this is something you can do today, regardless of whether you are using PeopleSoft or any other Cloud application. And what’s more, it can be done in twelve weeks. You’ll get to see how it works in your organization, and how logistically it is implemented and maintained. And you’ll be able to test it in key functional areas, while also getting feedback from multiple business groups. Implementing a chatbot solution can be done efficiently and within a reasonable budget, so try it in a pilot and see for yourself. Make 2018 the year you figure out what works best for you with your first step to AI and chatbot adoption.